Perhaps to some, the prospect of spending 90 minutes watching a group of high school-aged women interact completely among themselves, without the intrusion of men (or like, adults) is a novel idea. It’s a chance to drop into a world of fast chatter, developing brains, and relationship dynamics that shift by the second. Importantly, it’s also an opportunity anyone invested in the experiences of young women in 2019 would do well to take. For someone freshly graduated from an all women’s college, though, the idea is not so new. 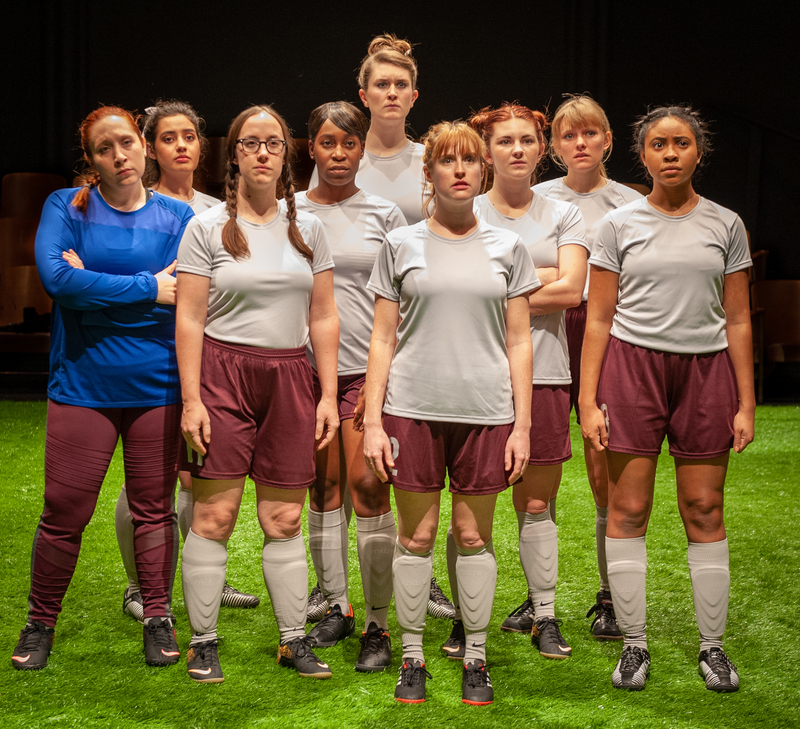 At Smith College in Western Mass., I spent the last three years surrounded by people who looked and spoke just like the actors gracing the stage at Southern Rep Theater’s production of The Wolves, Sarah DeLappe’s play about a women’s indoor soccer team. Though it felt like I was transported back onto Smith campus as I watched the play—particularly with lines like, “We should never, like, take our liberties for granted”—I wasn’t bored; quite the opposite, I was captivated by the playwright’s ability to so perfectly capture scenes I felt I’d witnessed so many times before, not to mention the actors’ skilled embodiment of them. At several points during the production I even convinced myself that some of the women on stage had graduated from Smith and I’d passed them in the theater building at some point (they didn’t)—that’s how good they were. What was not as familiar to me, however, was Southern Rep’s new permanent home on Bayou Road in the Seventh Ward. 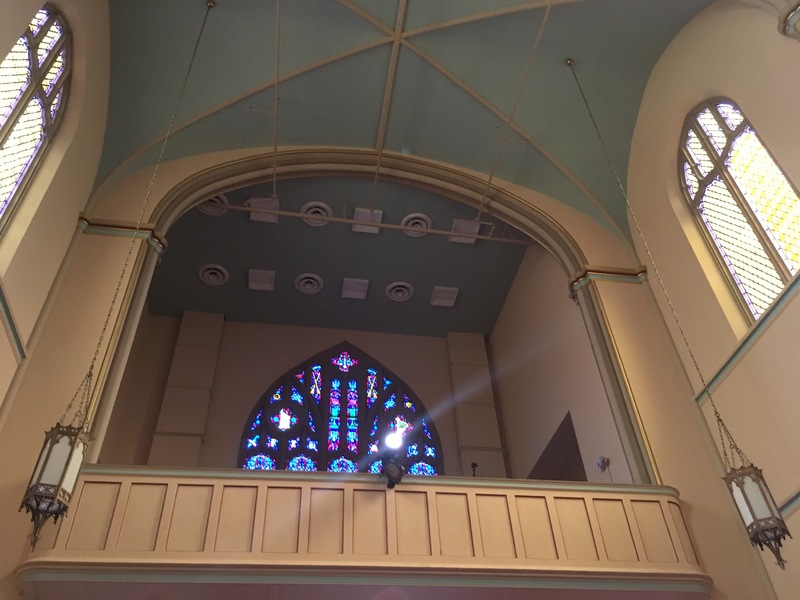 Located in the old St. Rose de Lima Church, the theater’s stage is a black box and completely removable without doing damage to the perfectly preserved stone carvings and stained glass surrounding it. The other renovations, though slight, show an awareness of the how important community is in the place Southern Rep now calls home: a lounge area lies in front of the black box, where people can gather before and after shows in the theater and on the sidewalk outside, where they’ll be hosting free performances for the community in the future; a long bar, cozier and more permanent than other theater bars (they even have real glasses, not that flimsy plastic stuff) is being finished this week with wood reclaimed from St Rose’s old confessional booths; and on the wall behind the bar are huge portraits of two significant New Orleans figures, Andre Callioux and father Claude Paschal Maistre, painted by the local artist Langston Allston. The layout of the Southern Rep theatre itself is fantastically immersive. To get to our seats for The Wolves, my friend and I had to cross the stage, which was, of course, covered entirely in AstroTurf. While the actors on stage brought scenes of young womanhood in “middle America” to life (at one point, a character quips about how Central America should be called “middle America”; another quickly retorts that actually, they live in middle America), we in the audience could hear the soft crunch of the green plastic as it shifted under their feet, and their breath as they held those brief, clipped conversations we all have as we’re navigating who we are when we break away from a larger group, sometimes two-by-two, sometimes by ourselves. Though I’ve had my fair share of the complicated ups and downs, overs and unders, and comings and goings of young American womanhood over the past few years (not to mention all the years before then, being a young woman once; and the fact that, I am, of course, that woman still), The Wolves seemed to me necessary, maybe even urgent. And what a better place to pay attention to the oft unexamined female experience than in a church, where we’re supposed to be listening the hardest? The Wolves is at the Southern Rep through February 3. Tickets are between $25 and $45 and available through their website. 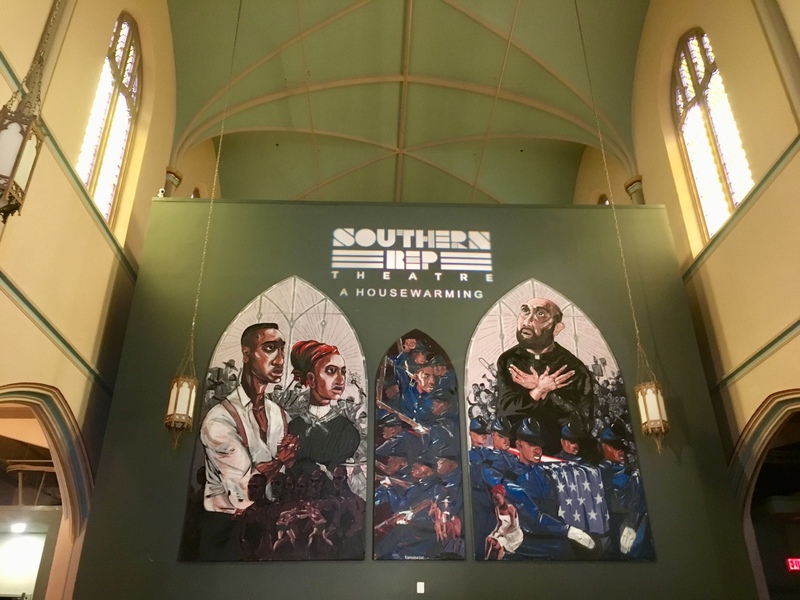 Southern Rep’s Inaugural Ball and official grand opening is this Saturday, January 19, 4-10pm. Free, RSVP suggested.